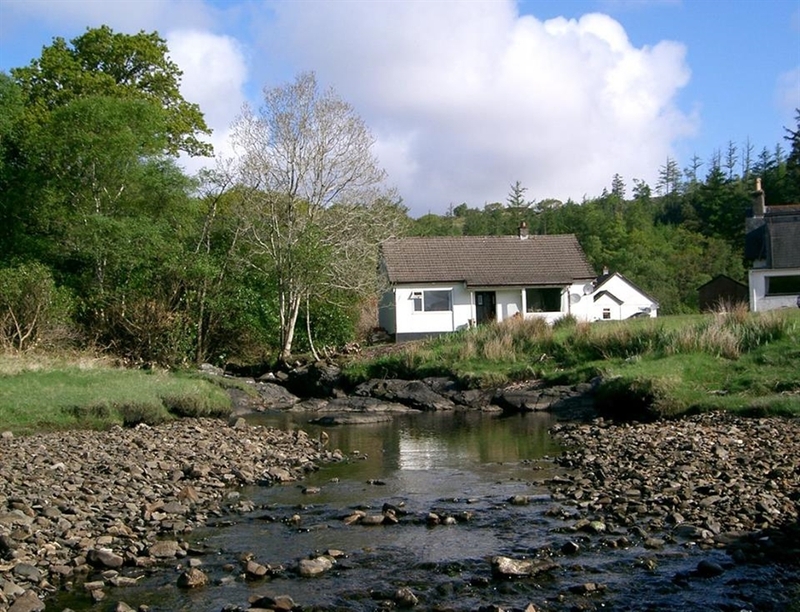 Wild life teems around this cosy 3 bedroom bungalow nestled between Loch Sunart and the running water of the burn. Seals, otters, pine-martens and deer can often be seen from the lounge as well as a large variety of birds including eagles. There are fine views from the cottage of the island of Carna and the Morvern peninsula. Binoculars are a must and so a pair has been provided. Dogs are welcome. 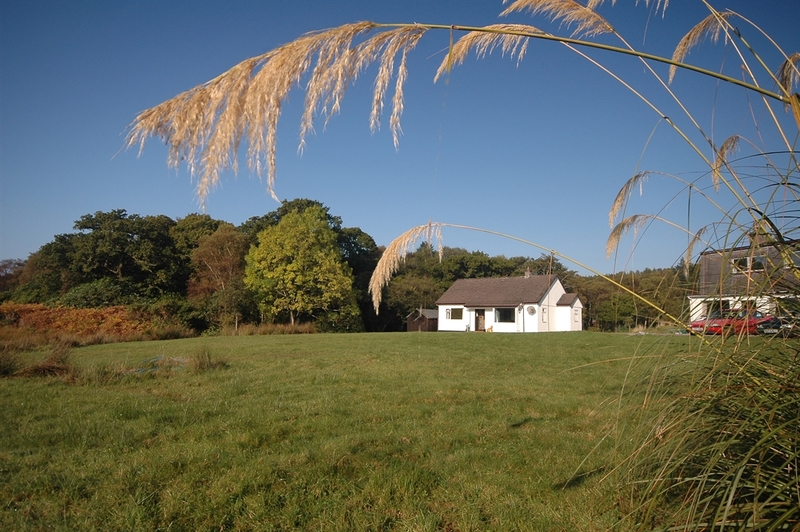 The cottage is well equipped with TV, DVD, phone, broadband and log stove. It is centrally heated and the modern kitchen has everything you would expect, including freezer, oven, halogen hob, microwave, tumble drier, dishwasher etc. Bedding and towels are included. There is one triple room, one double and one twin, all with wash hand basins. Electricity and logs for the fire are included. 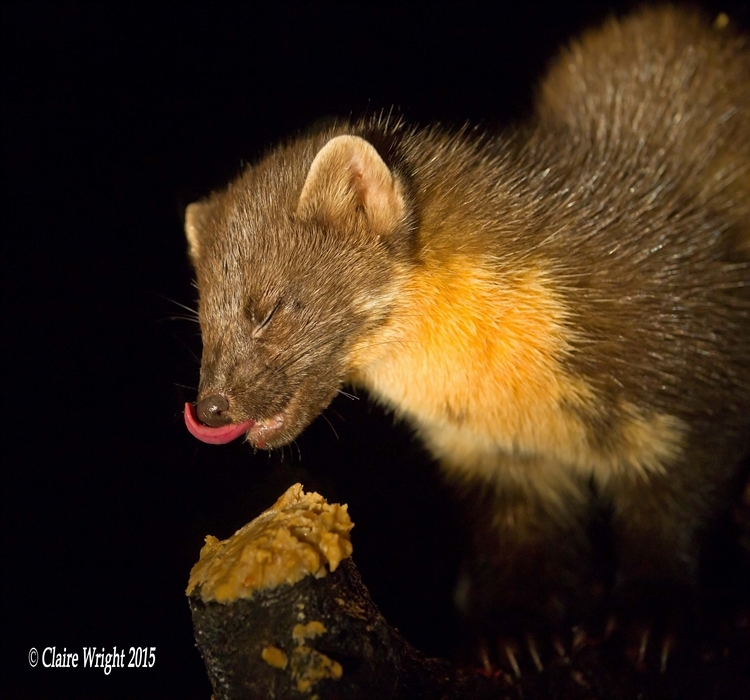 The location is well placed for exploring the wildlife in the vicinity and is a short drive from the Tobermory ferry at Kilchoan, or a 1 mile walk from the passenger ferry which runs from Laga bay 2 days a week and operates whale watching trips on other days. Sea angling can be prodictive on Loch Sunart. Catch mackerel or pollock from the bottom of the garden in season or hire a boat to try for the many 100lb+ skate that inhabit the loch. There are many brown trout lochs close by for the fly fisher, some are seldom fished and require a long hike and others are a short stroll from the road. Permits available at Kilchoan. Ardnamurchan point is the most westerly place on the British mainland and this quiet unspoiled area of vast spaces and breathtaking scenery, iis a place to relax and unwind and rediscover the enjoyment of natural beauty.